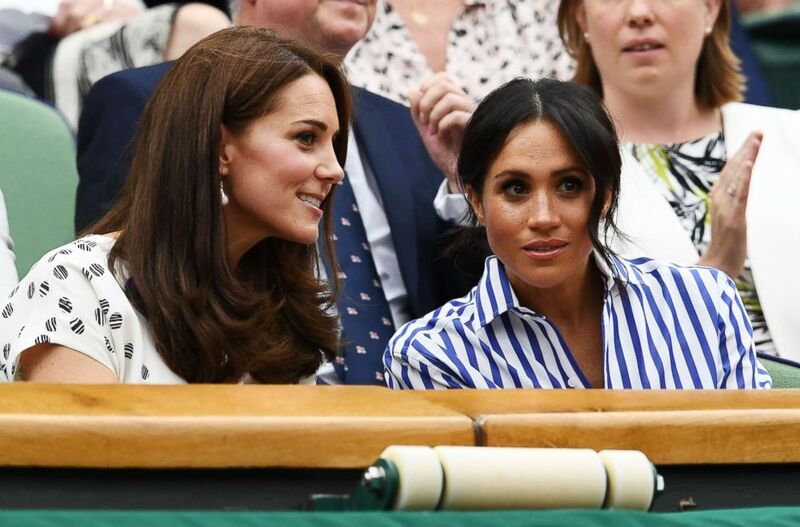 Princess Kate, royal patron of Wimbledon, and Duchess Meghan attended their first joint engagement Saturday to see championship tennis. 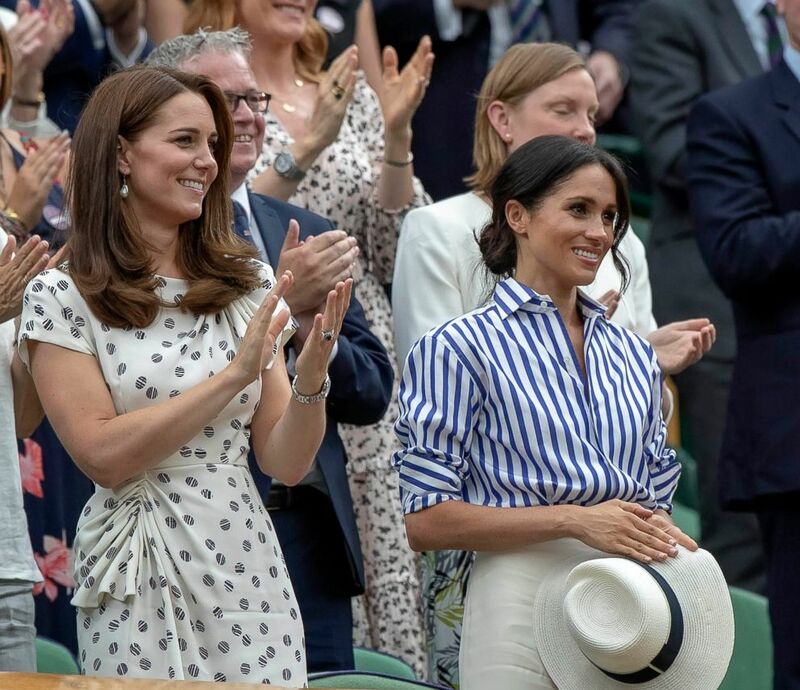 Meghan Markle, who is close friends with Serena Williams, was on hand to cheer on the tennis star. 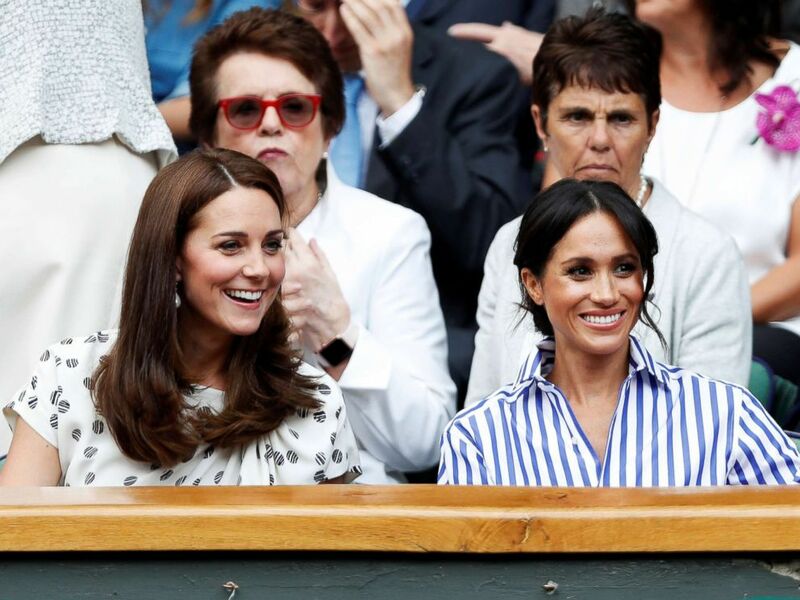 Catherine, Duchess of Cambridge and Meghan, Duchess of Sussex, right, sit in the Royal Box on Center Court at the Wimbledon Tennis Championships, in London, July 14, 2018. Williams is attempting to win her eighth singles championship at the All England Lawn and Tennis Club in London -- and is doing so less than a year after giving birth to her daughter. 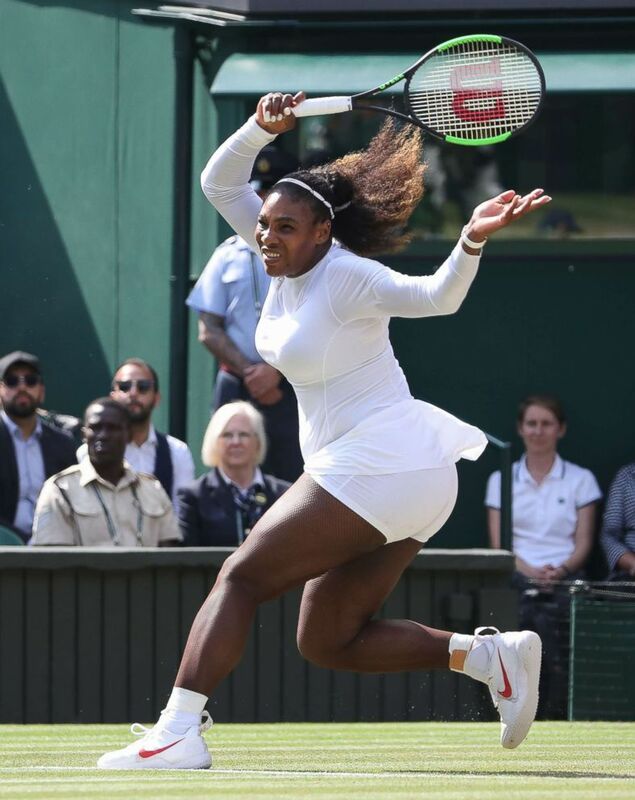 Serena Williams of the United States during day 11 of Wimbledon Lawn Tennis Championships at All England Lawn Tennis and Croquet Club on July 13, 2018 in London. 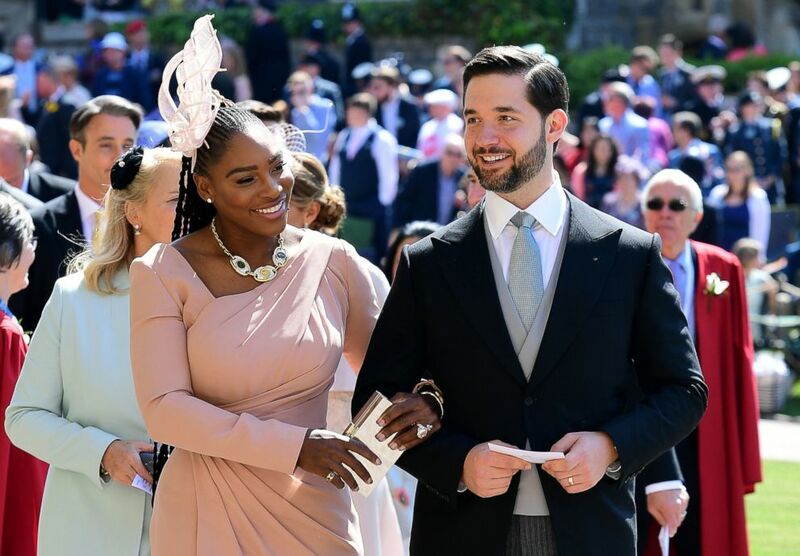 The 23-time Grand Slam champion attended Prince Harry and Meghan’s wedding in May with her husband, Reddit founder Alexis Ohanian. 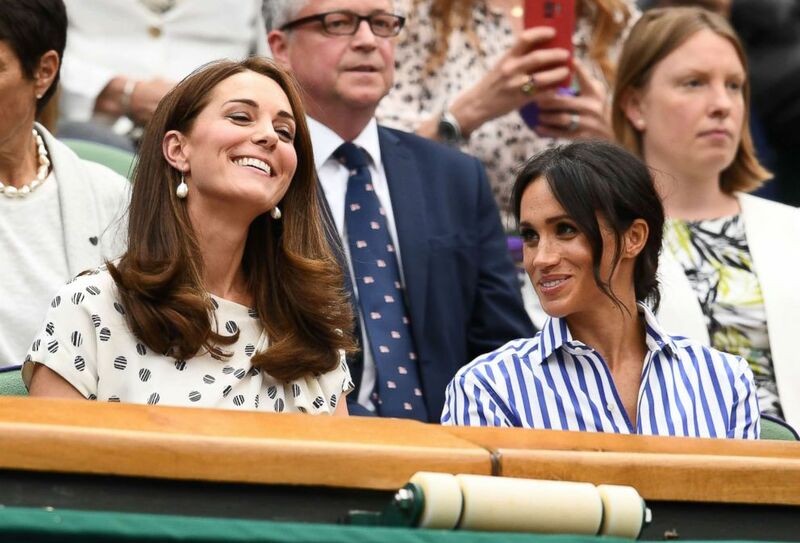 Serena and Meghan have been friends for many years, and Meghan has been seen courtside supporting her in previous matches at the Grass Court Grand Slam. Serena Williams and her husband Alexis Ohanian arrive for the wedding ceremony of Britain's Prince Harry, Duke of Sussex and Meghan Markle at St. George's Chapel, Windsor Castle, on May 19, 2018 in Windsor, England. Williams spoke about her “wonderful friendship” with Meghan following her match Thursday, when she defeated Julia Georges in straight sets to advance to Saturday's final. "We’ve always had a wonderful friendship ... our friendship is still exactly the same. We have always supported each other and been there for each other through a lot," Williams said. Catherine, Duchess of Cambridge and Meghan, Duchess of Sussex attend day twelve of the Wimbledon Lawn Tennis Championships at All England Lawn Tennis and Croquet Club on July 14, 2018 in London. This is Meghan’s first solo appearance with Kate. Shortly after her engagement, the Duchess of Sussex joined the Duke and Duchess of Cambridge and Duke of Sussex at the first annual Royal Foundation forum in February. Princess Kate was dressed in go-to favorite, Jenny Packham, Saturday while Meghan made a nod to her American roots, dressing in Ralph Lauren. 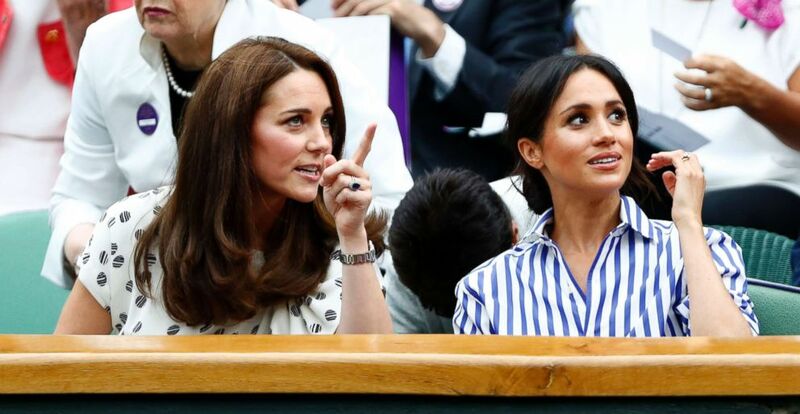 Britain's Catherine, Duchess of Cambridge and Meghan, Duchess of Sussex watch Serena Williams of the U.S. play the women's singles final against Germany's Angelique Kerber at All England Lawn Tennis and Croquet Club in London, July 14, 2018. The Duchess of Cambridge has been Patron of Wimbledon for several years and can be seen regularly attending the matches with her husband Prince William. 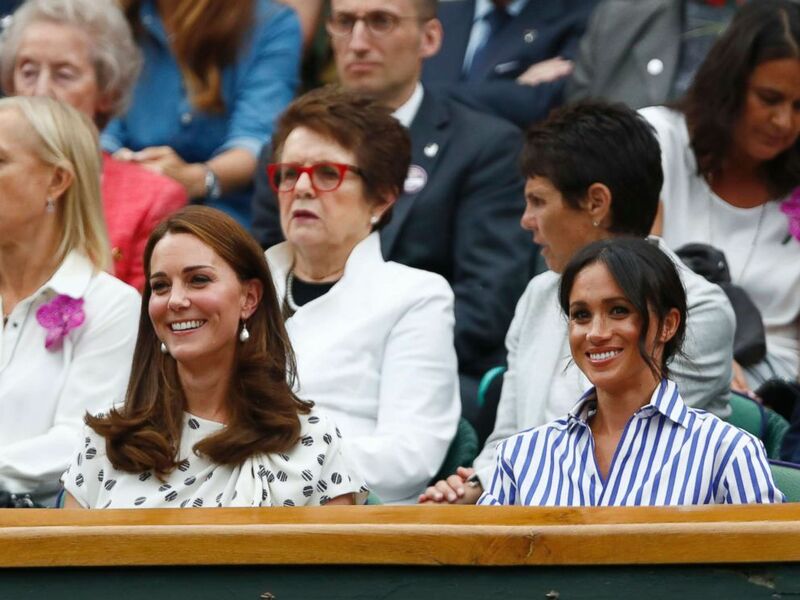 Catherine, Duchess of Cambridge and Meghan, Duchess of Sussex attend the match between Novak Djokovic (SRB) and Rafael Nadal (ESP) on day 12 at All England Lawn and Croquet Club in London, July 14, 2018. Kensington Palace announced William and Kate will attend the men’s singles final on Sunday.